Come and share an unforgettable moment with the stingrays that have made Xel-Há their home! Learn all about stingrays while you snorkel with them in the crystal clear waters of Xel-Há. In this new adventure full of fun, you will be very close to these majestic creatures and can witness how their incredible fins appear as wings in the water. 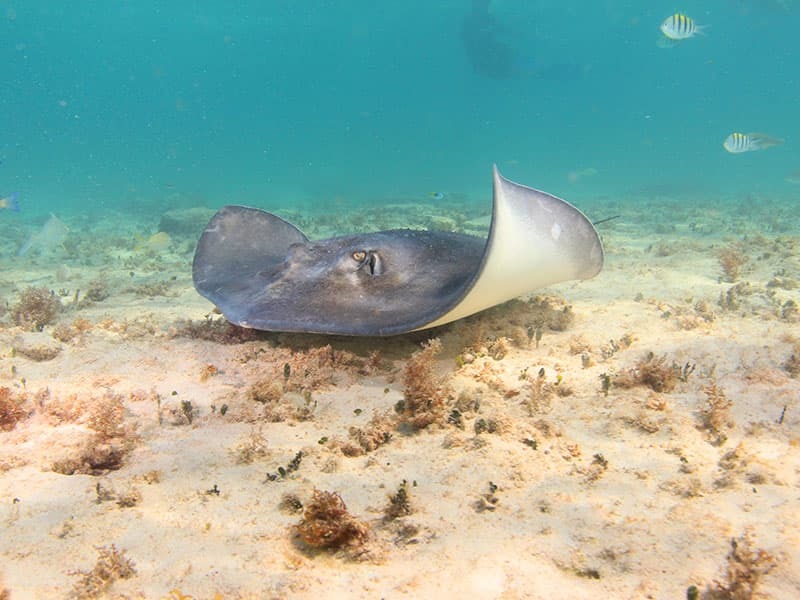 This is the safest stingray activity on earth where you can interact with them while discovering their biology, anatomy, habitat and friendly nature. Use of locker and towel during the activity. Schedule: 12:30 p.m. and 3:30 p.m. Duration: 30 min (5 min welcome and 25 min explanation and interaction). Maximum age: 4 years (Children between 4 and nine 10 old must be accompanied by an adult during the activity, both pay). To offer you better service, remember to confirm your activity reservation upon arrival the Park, where you will be able to choose your preferred schedule. It is necessary to bring two printed receipts, one to present at the Park’s ticket booth, and the other to present at activity’s location. People who suffer asthma, vertigo, back, knee or heart problems and pregnant women cannot participate in this activity. Photos and videos have an additional cost.